SGT Frank Miller and his family. Around 4 a.m. on April 2, Pennsylvania Army National Guardsman SGT Frank Miller awoke to a smoke-filled house. Within minutes, the living room where he and his 6-year-old daughter Sophia had been sleeping, was engulfed in flames. SGT Miller raced his daughter to safety in the front yard, then returned to the burning house to retrieve his fiancé, Noelle, from where she had been sleeping in the upstairs bedroom. Minutes later, the fire had spread to the upstairs. Although SGT Miller and his family made it out safely, the house was a complete loss. SGT Miller is a 25U Signal Support System Specialist with C Company 2nd Brigade Special Troops Battalion in Beaver Falls, Pa. He has served for seven years and is currently a retransmission team chief, master driver trainer and equal opportunity advisor for the unit. SGT Miller has received numerous coins for his dedication to the unit and an Army Achievement Medal as a guardsman. He is a professional, dedicated leader and role model. And now, he’s also proven himself a hero. The fire was determined to have been caused by a space heater on the lower level of the home. 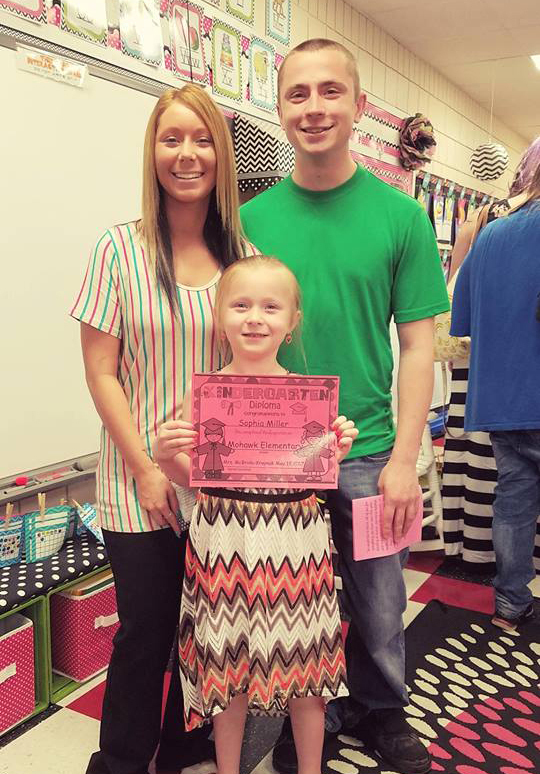 A proud individual, SGT Miller did not want to seek any assistance, but he eventually requested school supplies and clothing for Sophia, some clothing for Noelle and work boots so he could go to work. SGT Miller’s unit has assisted with whatever it can. He and his family are renting a property nearby. They hope to rebuild a home on their property and pick up the pieces of their lives. When Brothers SGT Tom Long and Col. Harris Brooks were notified of SGT Miller’s plight, they established several needs with which Brethren could assist. Initially, it looked like SGT Miller was going to have a major short fall between the cost to rebuild his home and the funding estimated from the insurance company. Brother Joe Shubert, Lodge Shekinah-Fernwood Lodge No. 246, Philadelphia, a public insurance adjuster, will work with the insurance company to ensure the situation is handled fairly. Brother Brian Seeger, Ellwood-Parian Lodge No. 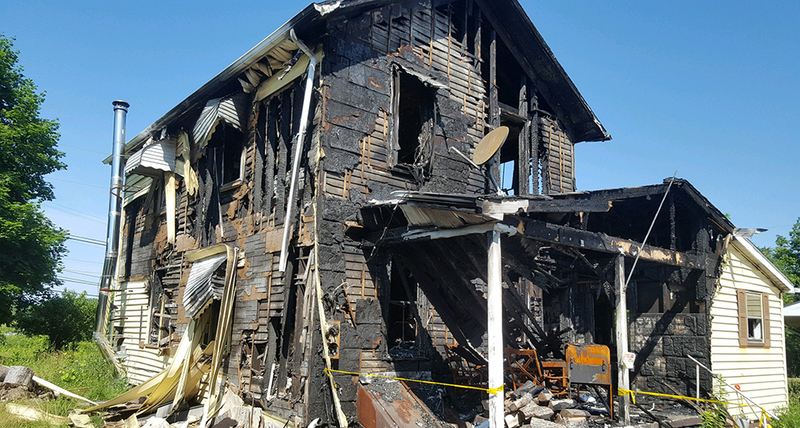 599, Ellwood City, a general contractor with experience working with fire damaged homes in western Pennsylvania, will submit a bid to complete the reconstruction of the house and repair the garage. Brother P.J. Roup, P.D.D.G.M.-54, will keep an eye on the building project to help those trying to manage it from the eastern side of the state. SGT Miller’s home was an older, smaller house. Installing a fire alarm system and an upgraded heating and cooling system will make the home safer, and increasing the square footage of the home will improve the quality of life of SGT Miller’s family. Thanks to your generous donations, Help for Our Heroes will underwrite the cost of these improvements for SGT Miller.